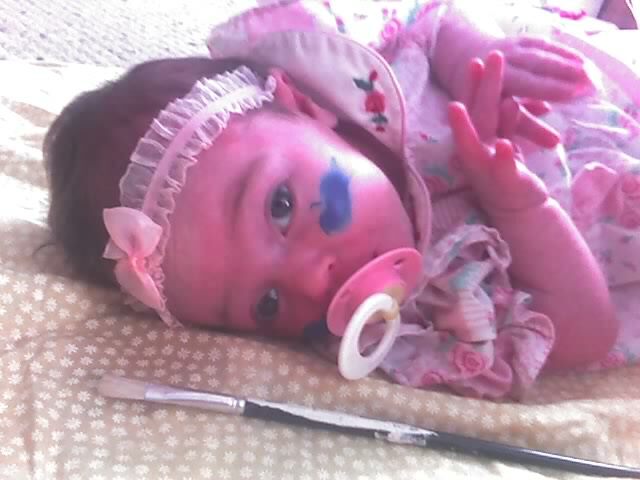 Cindis World: Li'l Priss & G-Ma @Glidden_Paint to #GetColor in our life! Li'l Priss & G-Ma @Glidden_Paint to #GetColor in our life! I have been looking around at paint for my daughter and son in law to do my granddaughter's room. And I was pleasantly surprised to find that you can go to the Glidden.com Room Painter and actually put the colors you are interested in on a screenshot of a room! It was great! I would definitely suggest going to the Glidden Room Painter and see for yourself. 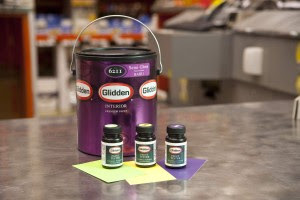 You can also test drive your favorite color with GliddenTM Ready-to-Go Paint Testers that can be found at your local Home Depot store and they are very inexpensive. Glidden’s paint testers are unique from other brands because they have a handy brush included in the lid, and their testers allow you to try out the actual paint color before you commit to buying all the paint necessary for your project. The paint testers are also great for households with children because they can be used to quickly touch up scrapes and stains. Glidden testers are also easier to store than large, messy, half-used cans of paint, which we happen to have about 15 of in our basement right now. You can find ideas quickly with Glidden’s Top 10 Color Palettes and XL Paint Chips and get inspired to paint with colors that reflect who you are! Glidden’s Top 10 Color Palettes are assembled by color experts to express your personality. 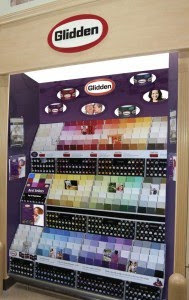 Glidden also makes it easy to select the perfect combination of colors. Their large paint chips help you experience your favorite color in your room’s unique lighting. Plus, all of the chips have two coordinating color options right on the back. "If my G-Ma says it's good, then IT's GOOD!"